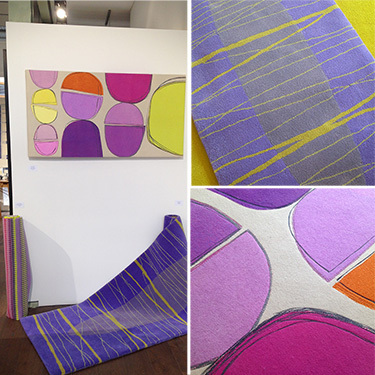 The CAA Colour Theory exhibition is now open featuring a brand new wall hanging entitled ‘You & Me 18′ and the ‘Twist’ rug in Lavender. 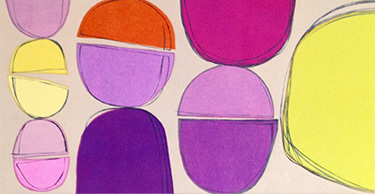 The exhibition is open until 21st April and is full of beautiful, colourful works to welcome in Spring! We are delighted to have two pieces of work in the new CAA exhibition ‘Colour Theory’ including a brand new felt entitled You & Me 18 (pictured below). The exhibition runs from the 19th March to 21st April and is not to be missed!